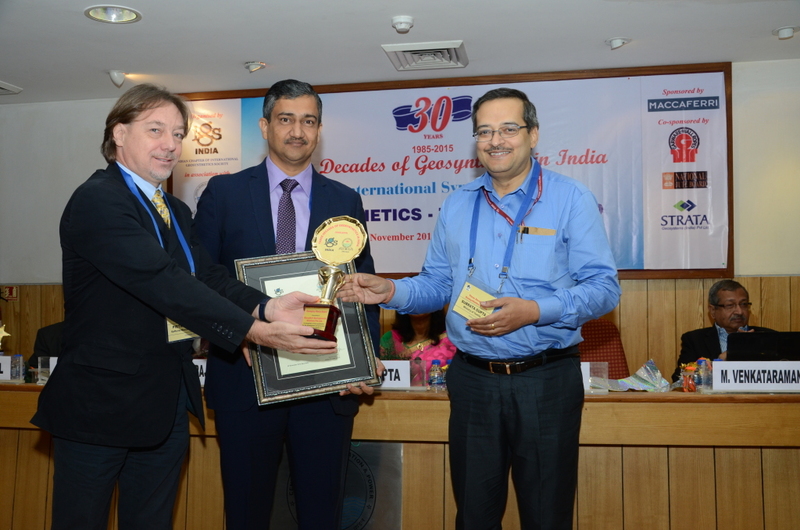 Maccaferri India awarded for exemplary works in the field of Geosynthetics. Maccaferri India was Gold sponsor for the event “Geosynthetics – The Road Ahead” which was greatly acknowledged by the Central Board of Irrigation and Power (CBIP) and the International Geosynthetic Society-Indian Chapter – IGS held last November in New Delhi. Specific lectures were delivered by Maccaferri’s Global Geosynthetic expert, Eng. Pietro Rimoldi, on Pavement Application and by Dr. Ratnakar on untapped potential of Geosynthetics in India, with reference to drainage application. 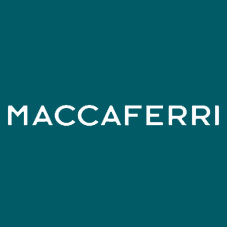 International Geosynthetic Society has also honoured Maccaferri with Institutional Award for Exemplary Works in field to recognize the contribution for the development and promotion of uses of geosynthetics in the country. COO and Director of Maccaferri India Mr. Ashish Gharpure and Global Geosynthetic Expert Mr. Pietro Rimoldi received in person the award in New Delhi. Several themes, part of the know-how of Maccaferri, were discussed during the event including: roads and railways, hydraulic structures, ground improvement, reinforced application, coastal and river bank erosion, environmental applications, underground structures (tunnels, excavation, etc. ), natural fibre geotextiles and geosynthetic testing. The event is also important for Maccaferri India, as we manufacture high quality geosynthetics in India from our factories in Pune. This local production reinforces our commitment to not only Indian infrastructure, but also creating a stronger manufacturing base in India. All these themes are prominent as India is a fast developing economy requiring large scale infrastructure development, including roads, railways, power and water resources, which will further promote the applications of Geosynthetics for infrastructural works. India will host the “Geosynthetics Asia 2016”. The event is back to India after the Indian Chapter of International Geosynthetics Society had the honour of hosting the First Asian Regional Conference on Geosynthetics last November in Bangalore.